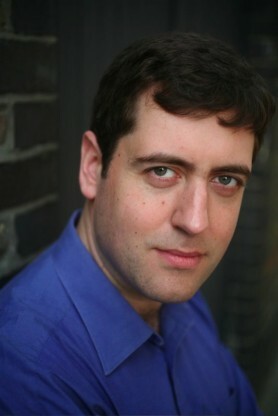 Among the younger generation of British baritones, Robert Rice has established a reputation as an insightful interpreter of challenging repertoire. He is a valued collaborator and creator of roles in modern chamber opera and music theatre, as well as a concert singer of distinction. He studied music as a choral scholar at King’s College, Cambridge, and undertook postgraduate study in singing under Mark Wildman at the Royal Academy of Music, where he was a multiple prizewinner. He continued his studies privately with Richard Smart and Sheila Barnes. Robert has extensive experience as a concert artist and undertakes a wide variety of repertoire. Performances already given in 2011 include Bach’s St John Passion and Actus Tragicus, Mozart’s Requiem, Rossini’s Stabat Mater and a recitalof music by living composers for York Late Music. Other recent successes have been Bach’s B minor Mass at the Hereford 3 Choirs Festival, the St Matthew Passion in York Minster and at the St Endellion Festival, and Mozart in King’s College, Cambridge. He has premiered works by Christopher Steel and Jacques Cohen, sung solo in Messiaen’s La Transfiguration de Notre Seigneur Jesus Christ (BBC Proms and RFH/Nagano), worked with BCMG/Ades in Weill and with CUCO/Nicholas Daniel singing Shostakovich Symphony 14, and performed works by George Benjamin, Arne Nordheim and Richard Rijnvos among others. His stage work also often involves contemporary music: he has toured Bosnia, Scotland and England with the innovative physical theatre-orientated company Opera Circus, appearing as Hasan in Nigel Osborne’s well-received Differences in Demolitions, and in their previous production Arcane, with music by Paul Clark. Early success in this field included Ligeti’s Aventures and Nouvelles Aventures, avant-garde music theatre works, in performances with Nicholas Cleobury at the RAM and Peter Eotvös in Bonn. Further roles include Vicar Albert Herring (Opera East Productions) Demas The Pilgrim’s Progress (Sadler’s Wells/Hickox), Sailor Dido and Aeneas (Chatelet/McCreesh), Herakles The Birds, Tempter The Martyrdom of St Magnus (both for The Opera Group), title role Darwin’s Dream (RAH), King Eight Songs for a Mad King (South Bank). He created the Ivory Carver in Judith Bingham’s The Ivory Tree (St Edmundsbury Cathedral). Robert has recorded Judas The Apostles with Canterbury Choral Society and the Philharmonia Orchestra. He is featured on Monteverdi’s Vespers of 1610 with the Southern Sinfonia and the Rodolfus Choir, and the Dufay Collective’s The Play of Daniel. His recording of Cornelius’ Die Drei Könige (The Three Kings) with the choir Polyphony is a favourite on both Classic FM and BBC Radio 3 whenever Christmas approaches. A skilled arranger of vocal music in many genres, he is published by Novello & Co. Ltd. Robert has led workshops as part of educational projects, as a coach for vocal groups and in solo masterclass situations and is proud to work as a voice teacher with the Eton Choral Courses, the Ulster Youth Choir and the National Youth Choirs of Great Britain.